Each passing season in New Jersey brings more pests to our area, from stinkbugs in the fall to mosquitoes in the summer. You don't have to live with pests inside your home where you eat, sleep and play. A-Academy provides residential pest control services to keep insects and rodents out of your home throughout the year. How Important is Residential Pest Control? It's always a good idea to maintain your home and lawn to reduce pest infestations. However, even a clean home will attract pests when the seasons change or during extreme weather such as a drought or heavy rainfall. Pests need shelter, and your home provides numerous cracks, crevices and voids for them to hide inside and to stay protected from the weather and outdoor predators. A routine pest inspection will help to detect invasive pests before they multiply beyond your control. We also eliminate wasps, hornets and other stinging insects, as well as destructive pests such as termites. 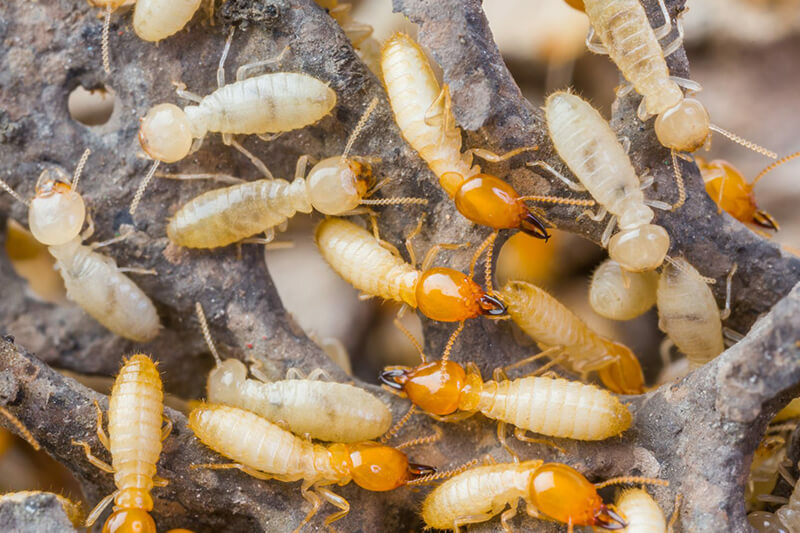 A single termite colony can cause thousands of dollars in damages in a single year, so it's important to schedule an inspection if you want to prevent costly repairs in the future. Whether it's fall pests or random wildlife, our technicians will remove the invaders and keep them out of your home. We provide several pest control services to get rid of pest infestations in homes and on properties throughout our area. Maybe you need a yard spray in the summer to prevent ticks and fleas, or maybe our termite control services will come in handy to stop unwanted damage. We have quarterly and monthly pest control services to suit your specific needs. Our technicians will inspect your home, provide a detailed report and eliminate the pests while using preventative methods to stop future infestations inside and outside your home. Whether it's a one-time spray or a monthly plan, A-Academy Termite & Pest Control will eliminate insects and rodents inside your home. A clean home may reduce the likelihood of pest infestations, but ants and other insects will still make their way indoors to find food, water and shelter. Contact us for a free quote and to schedule an inspection with our professional technicians. A-Academy of South Jersey, Inc.